After a blizzard of hype surrounding the electronic health record (EHR), health professionals are now in full backlash mode against this complex new tool. They are rightly seen as a major cause of professional burnout among physicians and nurses: Clinicians are spending almost half their professional time typing, clicking, and checking boxes on electronic records. They can and must be made into useful, easy-to-use tools that liberate, rather than oppress, clinicians. Performing several tasks, badly. The EHR is a lot more than merely an electronic version of the patient’s chart. It has also become the control panel for managing the clinical encounter through clinician order entry. Moreover, through billing and regulatory compliance, it has also become a focal point of quality-improvement efforts. While some of these efforts actually have improved quality and patient safety, many others served merely to “buff up the note” to make the clinician look good on “process” measures, and simply maximize billing. Mashing up all these functions — charting, clinical ordering, billing/compliance and quality improvement — inside the EHR has been a disaster for the clinical user, in large part because the billing/compliance function has dominated. The pressure from angry physician users has produced a medieval solution: Hospital and clinics have hired tens of thousands of scribes literally to follow clinicians around and record their notes and orders into the EHR. Only in health care, it seems, could we find a way to “automate” that ended up adding staff and costs! A growing number of people want to set aside all of our current health care financing approaches as a country and set up Medicare For All as a Canadian like single payer system to cover every American and pay for our care. When we spend three trillion dollars a year on health care and still have thirty million people without insurance, the possibility of covering everyone using the most direct and simple approach has some obvious appeal. That Medicare for All approach being proposed to Congress today would be funded with a half dozen taxes that would include making income tax more progressive and inheritance tax levels significantly higher than they are now. If we do have enough political momentum and enough alignment as a nation to actually replace everything in our health coverage world with a national Medicare for All system that is financed by those new taxes, then we should seriously consider going even further and spend the same amount of money buying better coverage and better care for everyone by setting up a Medicare Advantage program for Everyone and using that approach and program to cover all Americans. Medicare Advantage has better benefits, better care coordination, better quality reporting, and a higher level of focus on better care outcomes and better care connectivity than standard Medicare. Standard Medicare buys care entirely by the piece. Buying care entirely by the piece rewards bad care, bad care outcomes, bad health, and inefficient care connectivity. Dr. David Shulkin once gave me this advice, “stop whining and complaining and lead with solutions.” To the many frustrated physicians in this country, this critique is a fair one. I took his words to heart. Let me start by saying my husband served 20 years in the United States Army and is a proud Veteran. I think our veterans deserve better than Dr. David Shulkin. His ousting as VA Secretary by President Trump this past week is akin to “leading with solutions” from my perspective. When it comes to personal agendas, there are few who are as laser focused as this man. Initially endorsing campaign pledges by Trump committing to increased accountability at the VA, his European trip—for which taxpayers paid $122,334—involved more sightseeing and shopping with his wife than “official” government activities. When the Washington Post first reported this story, Shulkin assured the public “nothing inappropriate” took place. Can Amazon, Chase, and Berkshire Help Medical Malpractice Victims? Amazon, JP Morgan Chase, and Berkshire Hathaway recently announced plans to form a joint non-profit enterprise aimed at providing affordable, high-quality, transparent healthcare to hundreds of thousands of their U.S. employees. Although a healthcare venture departs from their prior expertise, the companies’ combined wealth, resources, and history of market innovation provide hope that this new alliance can reshape the delivery and cost of healthcare in the U.S. As Amazon and company attempt to tackle America’s healthcare problems with a new delivery model, there is also potential for them to support patients who encounter another critical problem in America’s healthcare system – the problem of medical errors. Johns Hopkins estimates that 250,000 deaths in the United States are caused each year by preventable medical errors. Eliminating medical errors is admittedly difficult. It requires interdisciplinary collaboration, unlikely political alliances, and changing the longstanding “culture of silence” in healthcare. In contrast, supporting patients who are damaged by medical errors, which can have a larger positive effect on the healthcare system, can be easily achieved. And it doesn’t even require innovation. Germany has implemented a model for patient support that can be adopted in the United States. In Germany, patients who suspect medical errors have a legal right to assistance from their healthcare insurers. This support can include assistance obtaining medical records, the examination and evaluation of documents submitted by patients, helping patients find an attorney or support groups, and providing patients with a free expert medical assessment. In addition, German public healthcare insurers, which insure 90% of the country’s population, are required to fund the Unabhängige Patientenberatung Deutschland (Independent Patient Counseling Germany – UPD). UPD is established pursuant to German federal law and provides patients with free expert medical and legal consultations. At UPD, patients who suspect that they were injured by a treatment error can receive a free online, telephone, or personal consultation from experts to help them understand their legal rights. This week MyFitnessPal announced that it had suffered a massive security breach which exposed or compromised 150 million MyFitnessPal accounts. Data that is affected included usernames, email addresses and hashed passwords. Luckily for those affected, the company claims that the affected data did not include government-issued identifiers or payment card data. In some good news for MyFitnessPal users, the stolen passwords were encrypted. However, Under Armour continues to be vague about which percentage of the stolen data was protected by bcrypt, a secure algorithm employing key stretching, and what used SHA-1, a legacy hashing algorithm no longer considered to be “any good”. That such data breaches occur should no longer be a surprise to anyone particularly given other high-profiles breaches involving companies such as Equifax, Yahoo and Target. However, what is surprising in this case is that cybersecurity experts are beginning to commend Under Amour for their “prompt response to the data breach after its discovery and their public announcement alerting users to the danger”. Such praise for simply engaging in what most consumers would consider obvious moral behavior may shock many Americans. After all, isn’t it intuitive and legally responsible of companies that suffer data breaches to engage in proactive disclosure? Knocking on the open door, we entered his room. The blinds were raised to reveal a stunning view of the area surrounding the VA hospital, and light poured in. Our patient reclined in bed, his eyes closed although he was not asleep. He opened his eyes at the sound of our entrance, and the eyes seemed to bulge, too large for his shrunken face with wasted muscles. A plastic tube, taped to the bridge of his nose, entered his nostril and disappeared. The other end of the tubing led to a canister filled with dark green liquid that had been suctioned from his gastrointestinal tract. Despite this invasion, his stomach remained distended, protuberant compared with his otherwise frail frame. It was a good learning case, a late presentation of a disease increasingly diagnosed at early stages by screening colonoscopies. This patient had not undergone screening, which might have diagnosed the cancer while there was still time for a cure. As an African American, this patient was more likely to develop this cancer than Caucasian patients his age. In 1980, industry healthcare planners imagined a system where the centerpiece was a hospital in every community and a complement of physicians. Demand forecasting was fairly straightforward: based on the population’s growth and age, the need was 4 beds per thousand and 140 docs per 100,000, give or take a few. In 1996, the Dartmouth Center for the Evaluative Clinical Sciences published the Dartmouth Atlas on Health Care quantifying variability in the intensity of services provided Medicare enrollees in each U.S. zip code. They defined 306 hospital referral regions (HRRs) that remain today as the basis for regulation of our healthcare system. 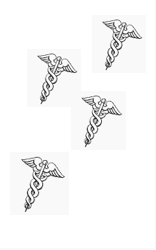 In the same timeframe (1980-2000), the ratio of doctors per 100,000 doubled as the number of medical schools increased from 75 to 126 leading health planners (Graduate Medical Education National Advisory Council) to predict a surplus of 70,000. Meanwhile, demand for hospital beds edged down slightly to 3.5/1000—the result of managed care efforts in certain parts of the country. Today, we operate 2.4 beds per thousand and have 265 physicians per 100,000. But the bigger story is the widespread variability in the volume, costs and quality of care across our communities. Across the 306 HRRs, bed supply ranges almost 250%; physician supply even more and costs as much as 400%. I’m not a parent. But I was once a gymnast. Now I teach at a medical school. As far as my own injuries, I consider myself lucky; I can walk through airport security without setting off any metal detectors. But I certainly have had my fair share of visits to the emergency department, the orthopedist, the chiropractor, and the physical therapist – as an adult and as a child, at times without a parent present. But I wondered if parents of male athletes were paying as much attention to the Nassar story as were the parents of young girls. Now that the first male gymnast has come forward to accuse Nassar of sexual abuse perhaps they will. As a health educator-turned-bioethicist who studies physician sexual abuse of patients, I have some practical advice for parents.